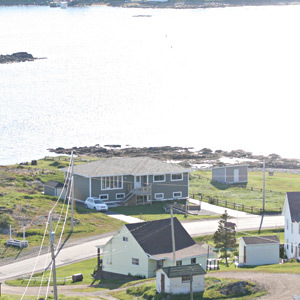 All Seasons Bed & Breakfast is located right on the historic harbour of Twillingate. This waterfront property has a fantastic view of the harbour with a deck and comfortable chairs so you can relax before embarking on many of the entertainment venues. Your hosts are Ruby and Mark who help make your visit to Twillingate an adventure to remember with hints and suggestions of things to see and do. 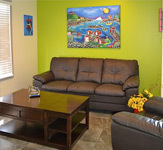 All Seasons Bed and Breakfast on Twillingate's south island, with great ocean views. Twillingate is known for its spectacular sunrises and sunsets. One of All Seasons B&B's comfortable bedrooms. Fresh breakfast with freshly baked bread is served every morning, and is complementary. The lights of Twillingate are reflected in the water of Twillingate harbour.